The City of Northampton is in the process of purchasing 150 acres of forest and an old quarry at the very end of Turkey Hill Road in Northampton, Massachusetts. The parcel is located to the east of Mineral Hills Conservation Area, an 86-acre parcel. 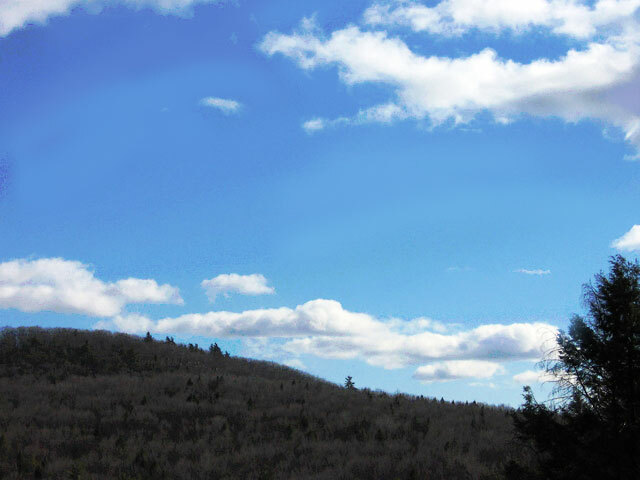 The 150 acres are owned exclusively by Ron Dahle, of Jedoron Realty Inc. in Farmington, CT. The parcel includes a 6 acre rock quarry on the premise. 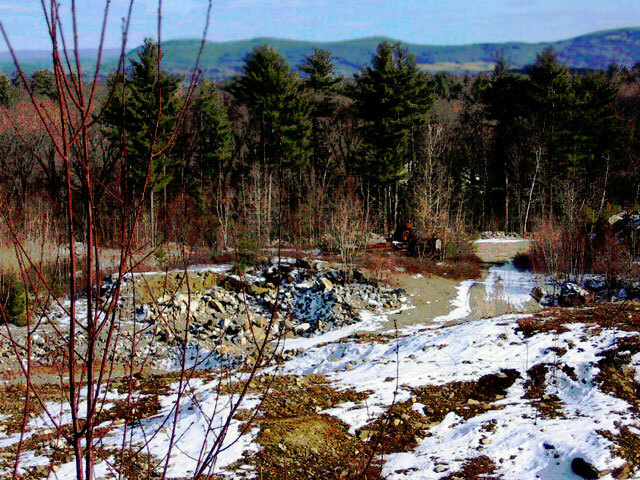 The quarry has not been used since 2001 when neighbors of Turkey Hill Road and the City alleged zoning violations on the site, and the Building Inspector issued a stop-work order. The neighbors had complained about structural damage caused by quarry blasting and safety concerns due to large construction trucks traveling along Turkey Hill road. The neighbors and the City lost in court, however, and filed an appeal. Currently, both sides have agreed not to move forward until after the present attempt to purchase the land is completed. In the fall of 2005, Mr. Dahle proposed an aggressive residential development plan for his Turkey Hill property. The proposal called for 37 single-family homes to be scattered along a winding dead-end road traversing through the 172-acre parcel. 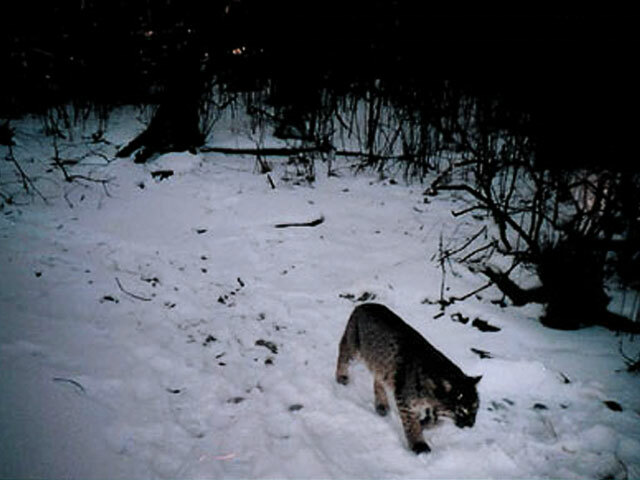 The plan would destroy and fracture an important wildlife corridor: home to bobcats, black bears, fisher cats, foxes, coyotes, beavers, wild turkeys, moose, porcupines and various migratory birds. This untouched area is critical for these species to remain and thrive within Northampton. 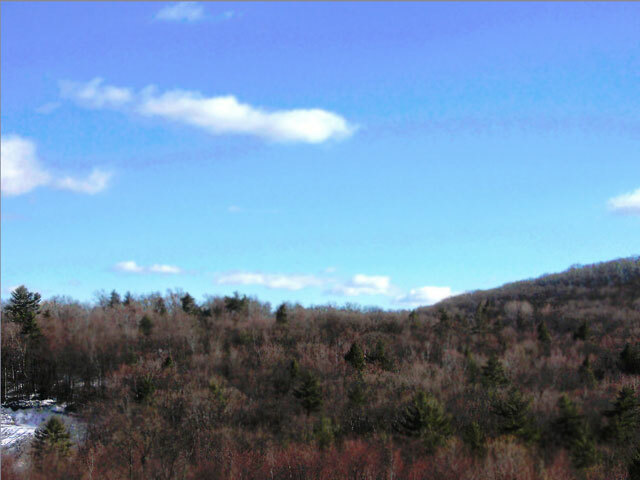 In addition to providing a pristine wildlife corridor, the land has breathtaking views of the Connecticut Valley. 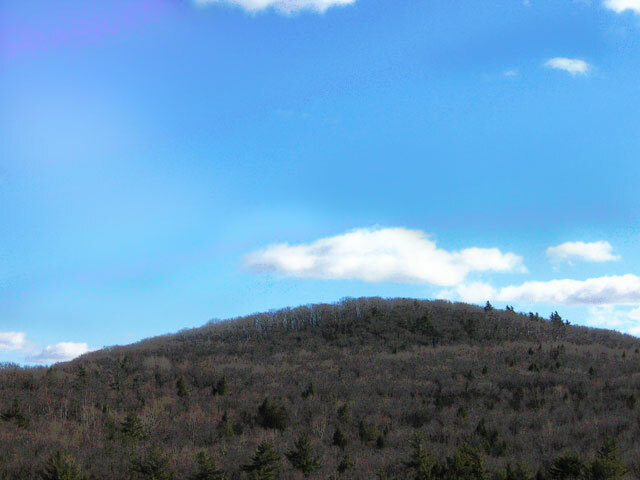 As seen in the pictures, the Holyoke and Mineral Hills range are clearly visible as well as Mt. Tom. Protecting this land is vital so that generations to come may enjoy the incredible views. Further, the land is a keystone for a large future potential conservation area, which will lessen development pressure in the area in the future. Unfortunately, these amazing views and untouched land create an ideal location for the owner, Mr. Dahle, to develop expensive residential lots. In order to stop this from happening, $200,000 (for a total of $680,000 through non-profit assistance, loans, grants, etc.) was needed from the community by May 1st. Since the city of Northampton cannot borrow against future funds it may raise (i.e. the Community Preservation Act money), the money must be fundraised through the generous donations of local residents, organizations, companies who would like to protect one of Northampton’s last large remaining untouched areas for conservation. 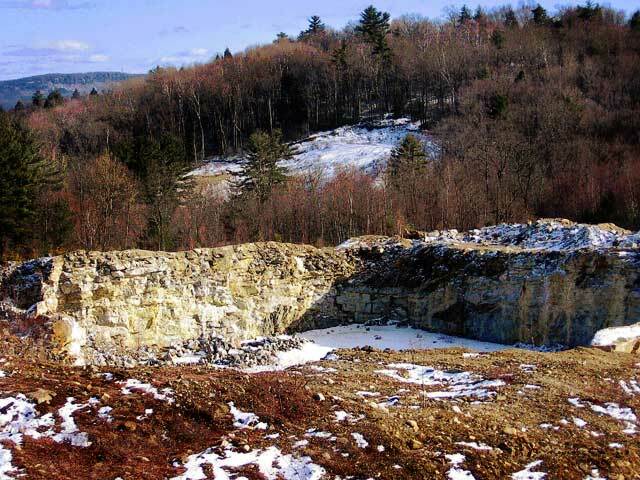 Of the 172-acre Turkey Hill site, 12 acres were used for pit and quarry operations. The Turkey Hill neighborhood filed a complaint that the quarry had exceeded its “grandfathered” rights according to zoning regulations. The dispute was over how large the quarry size was going to be. The Zoning Board of Appeals sided with the neighborhood. Ron Dahle, the owner of the Turkey Hill property appealed the neighborhood’s objection that he was “grandfathered”. The neighborhood was really concerned about the blasting and the numerous construction trucks traveling along Turkey Hill road. Mr. Dahle won the case. The City of Northampton and the neighbors appeal the 2001 decision. Currently, there is a hold on the court proceedings until after the attempted purchase of the land is completed. Mr. Dahle proposed breaking up the property into 37 house lots. The average lot would cost between $120,000 and $250,000. However, it was unlikely that the plans would materialize, as many of the lots would require various permits. An alternative to this and a more likely scenario was for Mr. Dahle to create 26-lot ANR (Approval Not Required) along the road and possibly a gravel pit in Westhampton. This method would not require permits and would be an easy means for Mr. Dahle to cash in on his property. Opposed to destroying the wildlife corridor and concerned about conservation of open space, the City tentatively agreed to a $1.1 million buyout for his 180 acre property. Within this agreement, Mr. Dahle would retain a small portion of his land in order to develop. According to the agreement, the permits required to develop on the land would be done by the City at no additional cost. In addition, the land in Westhampton would be placed in a conservation restriction. As negotiations continued, the selling price was eventually lowered to $680,000 for 120 acres in fee to the city and a conservation restriction on an additional 30 acres. Mr. Dahle would retain the rights to develop additional units on his property: three tri-plexes and two high-end homes and some land for forestry purposes. The actual cost to the City is projected to be roughly $728,000, due to taxes and other potential soft costs. A $10,000 deposit was placed on the property in February 2006 and an additional $221,000 was needed by May 24th, 2006. The majority of this money was raised through private donations during a 60-day fundraising campaign. Because the deposits are not refundable, the City needed a secure line of credit before it could put any money down. The Trustees of Reservation offered a $250,000 loan and Massachusetts Audubon Society offered a $215,000 loan to be paid back by an eventual state grant that the city believed they would eventually get. If the state grant never came through, the property would have been at risk again. Under the loan plan, the $465,000 would be paid back through a Massachusetts state grant. However, the catch is that the City of Northampton cannot technically own the property in order to apply for the grant. So, in actuality, the Trustees of Reservation and the Massachusetts Audubon will temporary own the land. The deadline to raise the additional money through private donations in order to secure the Turkey Hill property is met and the second deposit is paid. The Massachusetts Self-Help grant comes through, ensuring that the project will actually happen and that non-profit loan assistance is no longer required. If all of the funding does come through, the City of Northampton will maintain the conservation restriction and the quarry site on the property. In order to limit the liability of the quarry, the City will do some minor work on the quarry. Closing is scheduled on this date for the 30-acre conservation restriction. Closing is scheduled on the property for the 120 acre fee purchase.